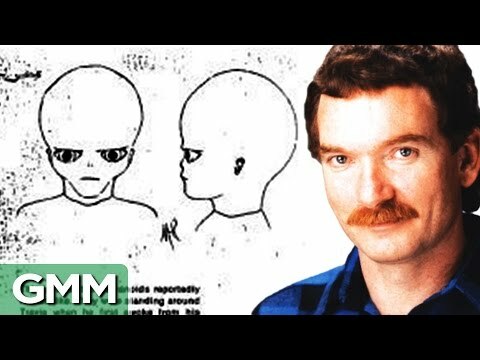 NEW witnesses to one of the most infamous “alien abductions” ever have come forward to tell their story for the first time. Charles Hickson and Calvin Parker were fishing on the banks of the Pascagoula River, Mississippi, in 1973, when they claim a UFO landed nearby and three alien creatures kidnapped them. Police audio files obtained by Sun Online last year showed the pair were highly agitated by the alleged incident but they never wavered from their story – even when cops left them alone and secretly taped them. And now, 45 years later, a couple have come forward to verify their story after seeing a strange UFO on the same night and location as the fishermen. Maria and Vernon Jerry Blair were sat in their car looking out across the river when they saw strange blue lights in the sky. Maria, now 69, said: “I thought was an aeroplane because of its bright lights flashing. They watched the strange lights for around 40 minutes before getting out of their car and walking down the pier towards a boat. However events took a sinister turn as Maria spotted a strange figure emerging from the water. She recalled: “We started walking down the pier and something came up out of the water. It was like a person. I told Jerry ‘There’s somebody out there’. “They came up out of the water, then went back down. So I’m standing there waiting for this person and the water rippled out. “He said ‘Come on – there’s nobody out there’. I know I saw it. Unbeknown to the couple, Charles and Calvin were on the opposite river bank having a terrifying close encounter with the UFO and its occupants. They claim they were captured by three alien creatures, who came out of a door on the oval shaped “craft”. The men said the creatures had “lobster-like claws” at the ends of their arms, “carrot-like” growths for their nose and ears and their heads also appeared to connect directly to their shoulders, with no discernible neck. The creatures’ skin was described as pale in colour, wrinkled, with no eyes and slits for mouths. Onboard the UFO, Hickson claimed that he was examined by what looked like a large football-shaped mechanical eye, about 6 to 8 inches in diameter, that seemed to scan his body. Calvin claimed that he could not recall what had happened to him inside the craft, although later, during hypnotic regression he offered some hazy details. Now, 45 years later, Calvin has written a book about his experiences called Pascagoula – The Closest Encounter, published by British UFO expert and author Philip Mantle. Calvin, 64, also met Maria and Vernon for the very first time in person on Wednesday this week after only speaking to them on the phone. He said: “It was a very emotional meeting from the beginning. “It started out with both of us tearing up and automatically bonding. “I felt like I had known her for years. It started off with her telling me that she saw the abduction on October 11, 1973, but didn’t know who was involved until the following day. This was of course me and Charles Hickson. “Mrs Blair then set out on a quest to find me so she could see if we were okay. “But she had no luck because I was in hiding away from the media attention. Her husband told her she would be a fool for coming forward and that everyone would make her out to be crazy. “So, she kept this to herself telling me she would think about it every night and worry about me. “Just like me – she had secrets that would haunt us for the rest of our lives.